The Humor Times magazine’s current issue cover — click to enlarge. The Humor Times monthly magazine is the perfect cure for an often unfunny world. Our take-no-prisoners, irreverent approach to covering the news can be as insightful as it is hilarious, thanks to the talented cartoonists and writers we boast. Indulge yourself with laughter – widely known as the best medicine for anything that’s getting you down. Subscriptions are so cheap, it’s almost a joke in itself! The Humor Times features the world’s finest editorial cartoonists, who tirelessly produce their hilarious and irreverent takes on what’s happening in the world. The Humor Times also showcases many non-political cartoons, such as Dan Piraro‘s Bizarro, Mike Baldwin‘s Cornered, Ruben Bolling’s Tom the Dancing Bug (a full-page strip that approaches politics from many creative angles), and much more. 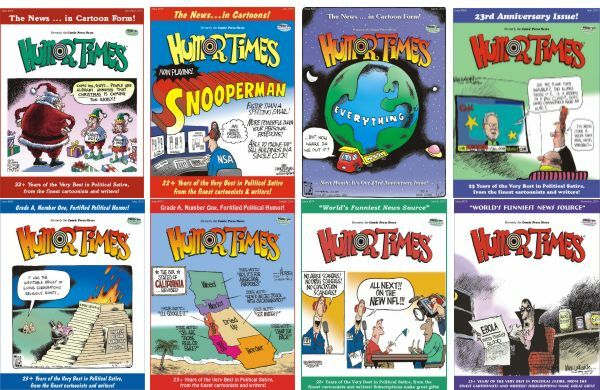 The Humor Times makes a wonderful gift – one that keeps your friends and relatives laughing all year long!!! 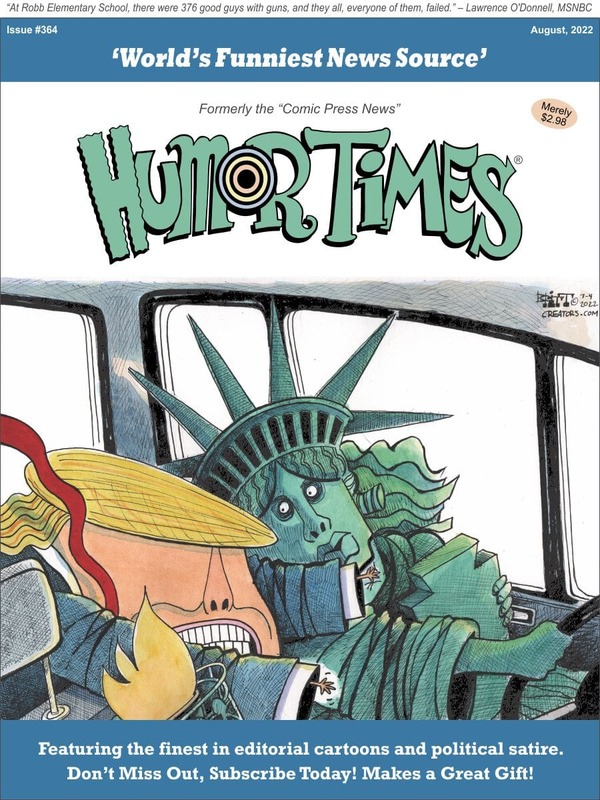 Click here to order a FREE sample copy of the Humor Times ($1 shipping & handling charge in the U.S., $3 anywhere else in the world) or here for information on how to SUBSCRIBE! See this link for locations where you can buy single copies of the Humor Times. If you’re interested in advertising opportunities in our print publication, on this site, or in our e-newsletter, fill out our form here: Advertising Information. We love our growing community of authors, contributors and readers, and hope that you’ll be back soon. Subscribe to our RSS feed, so you can easily see summaries of new posts, and if something tickles your fancy, you can check it out. 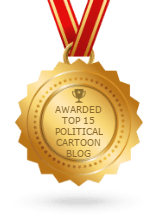 Subscribe to our Free “Cartoon of the Week (& More! )” email newsletter. Visit our Facebook Humor Times page and ‘like’ it (and maybe even add it to your favorites!). Follow us on Twitter @humortimes. Thank you so much, and see you next time!